PCBB had its Executive Management Conference last week and we've recounted a number of topics from the presentations. There was one speaker that we found truly inspiring - Derek Daly, a former Indy 500 race car driver and television commentator. Like many sports figures, Daly is a leadership and professional development speaker. Unlike many sports figures/leadership speakers, his method was broken down into executable steps and was delivered with particular professionalism and enthusiasm. His presentation clearly resonated with the audience. First, we give some history on Mr. Daly. He grew up in a working class family in Ireland and when he announced to his father that he wanted to be a professional race car driver, his father responded that he would help in any way he could, except financially. Daly bought his first race car, a 1953 Ford Anglia at age 16 and went to work on it in the garage - this amazing vehicle is pictured above. Over time, and with some good coaching, Daly raced in Formula 1 in Europe and then moved on to the Indy 500 and racing in the US. It was during a US race that he suffered a horrific car crash. At 217mph, it was the hardest crash impact that any driver had ever survived. About 14 surgeries later, he went back to driving, but during the recovery time, he had become a television sports commentator. At this too he excelled. This all led to a bestselling book and his business as a professional development speaker. Daly explained that when he was first learning to drive race cars fast, other drivers helped him get faster and in particular Mario Andretti mentored him. This almost seems like a contradiction. Wouldn't the people you are competing with want you to be slower than them? The reason they helped is that a slower driver is a danger to everyone around them, in addition to endangering themselves. Qualifying for races requires drivers to go a certain speed, and the techniques to do it consistently and in control take a lot of effort, skill and experience. Daly's talk explored the difference between GOING fast and BEING fast. Just going fast could perhaps be accidental, whereas being fast is purposeful and directed. There are five factors of fast: (1) a company only becomes fast when enough people in it become fast, (2) to be fast, you must get comfortable being uncomfortable, (3) a To Do List is good but a To STOP list might be even better, (4) make sure you are doing the right things, as opposed to doing things right and (5) you don't decide your future, you decide your habits and your habits decide your future. 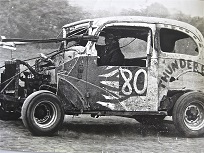 Car racing is truly a team sport, although to the untrained observer it may seem to primarily depend upon the driver. The best driver in the world could never win a race without a high-performance team keeping the car running at its maximum performance. A high-performance team should be a well-managed group of people who communicate effectively, cover many variables and work in harmony together as they execute their plan. Effective teams are innovative and embrace change. So that's the formula Daly used to win Formula 1. While these ideas came out of the sports world, they can certainly be applied to more effectively managing the teams within every bank. Most of us would prefer to avoid a life-threatening accident and 14 surgeries as a necessity for developing an effective system for managing our lives both personal and professional, therefore we learn from people like Daly. The speed of business only gets faster and therefore we'll do our best to apply his lessons going forward. More information can be found at: www.derekdaly.com. Treasury yields rose 4bps after stronger-than-expected services sector data indicated an economic rebound from winter sluggishness. Yields are up 2bps this morning ahead of Nonfarm Productivity and ADP Employment. Banks considering investing in interactive teller machines (with video connection to bank staff) may be interested to find they reportedly save about 40% vs. teller costs; can do about 95% of what tellers do; nearly double hours of availability and cost about $50k to $60k each. Looking at the Q1 earnings releases for the largest banks, it is interesting to note that Bank of America, JPMorgan Chase and Wells Fargo combined have 52mm mobile customers and 95mm online customers now. Stress test results released by the Federal Housing Finance Agency show a severe economic downturn would likely require FNMA and FHLMC to borrow up to $157B in capital from the US Treasury. A Bank Director survey of executives & directors that asked what respondents would consider the top 3 reasons they would sell their institution found these among the highest: receiving an attractive offer (71%); high cost of regulation (47%); limited opportunities for organic growth (40%); management and/or board no longer find the experience rewarding or enjoyable (36%) and CEO succession (21%). A Bank of America survey of small business owners finds that those who plan to take out a loan this year say they will use the proceeds for the following: invest in new equipment (38%); invest in employee training and development (38%); expand operations (37%); hire more employees (32%); market the business (30%); and offer employee health and financial benefits (29%). The CEO of MasterCard said he has seen some spending increase since the drop in gasoline prices, but that it has been offset by a decline in overall retail sales or used by consumers to pay off debt.